I've already bought Day Four too. Starting it soon! Oooooh...I'm always looking for creepy books to read, so even if this is middling, I'll have to give it a shot! It's rare that I find a book that's truly creepy and not just going for cheap thrills. Oh, I loved THE THREE. Honestly, though, I was worried that I wouldn't. I'd started it and set it aside before restarting a second time. It's funny, though, while I found it creepy all the way through it was the final few chapters that really pushed me over the edge from an ok read to a favorite. DAY FOUR is something of a companion read. 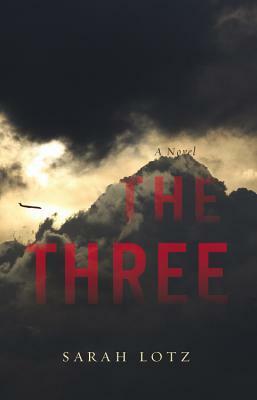 You don't have to have read THE THREE (or even to have liked it). DAY FOUR is a more straightforward narrative and much easier to get into. I absolutely loved it all the way through and highly recommend it! Yay! Day Four is next on my TBR list! Aside from how you describe the ending, you may have intrigued me enough to pick this up! I firmly believe that creepy children are 100x scarier than creepy adults, so I just can't turn a creepy child story down! I am incredibly scared of dolls so... children creep me out too sometimes. Haha. I love the premise of this book. Bummer that it isn't as amazing as it sounds like it could have been. I'm still intrigued, though, so I'll have to give this one a go. Thanks for the heads-up! Ooooohhhh... it would make for an amazing scary movie!